I've been on a appetizer kick lately ... maybe it's the hot weather, but most days I just don't feel like making a big meal. This past weekend was prime example. I had some great ingredients and I was getting ready to make an Escarole and Cauliflower Soup. This was beginning to sound too hot and heavy so I went for Braised Escarole Salad with a side of Cheesy Buffalo Cauliflower Chips. Funny thing is, I probably spent twice as much time in the kitchen doing prep work as well as time over the stove making the house and myself even hotter. The food was worth it! The Cheesy Buffalo Cauliflower Chips had that little bit of heat that lasted after you ate it but didn't burn too much. It was the perfect heat for me. 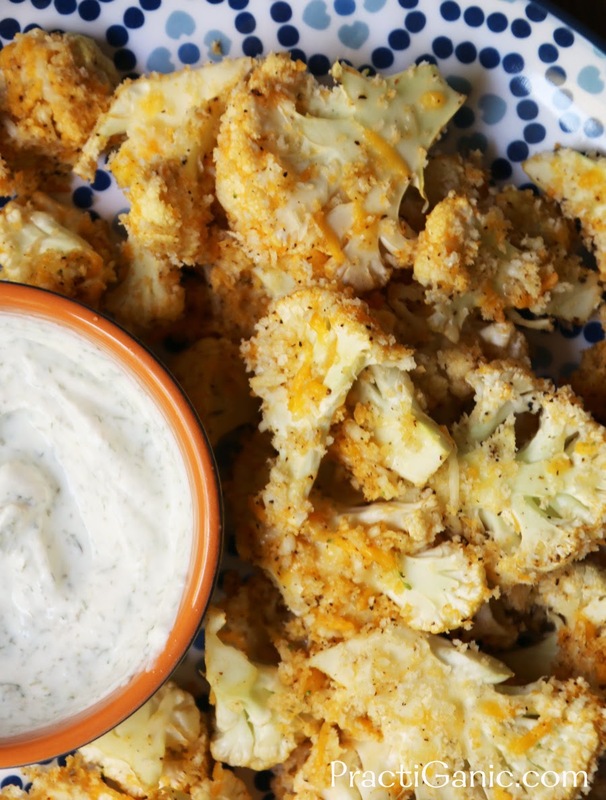 Since I made these, I have been craving cauliflower every day. I think we're getting another head in our CSA basket this week and if we're not, I'm off to the store to get one for another round of appetizers for dinner! Cut the cauliflower into 1/2 in slices. In a bowl, mix together hot sauce, egg and sriracha sauce. In another bowl, mix together your breadcrumbs, cheese, salt and pepper. 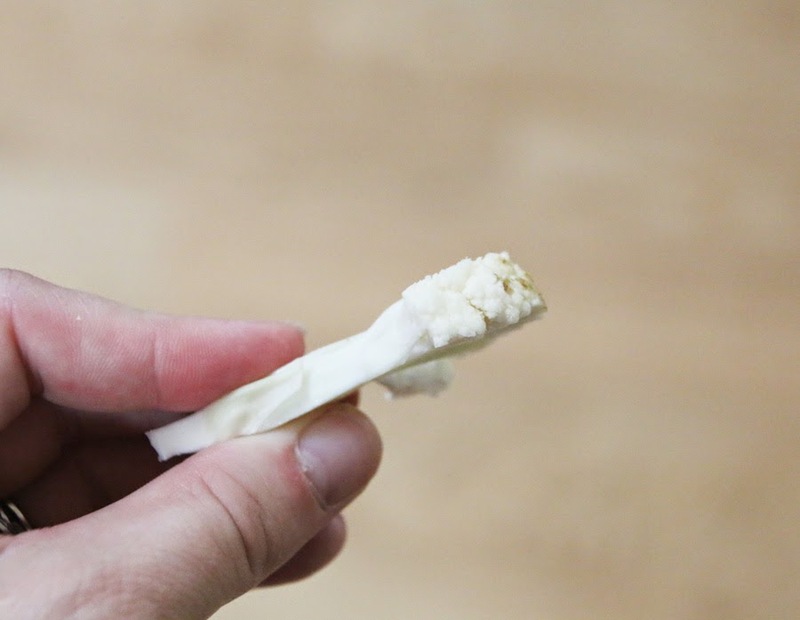 Take your cauliflower slices and first dip them into the egg mixture and them the cheese mixture. Place them on a sheet tray. Bake for 12-14 minutes or until the breadcrumb topping is turning golden brown. 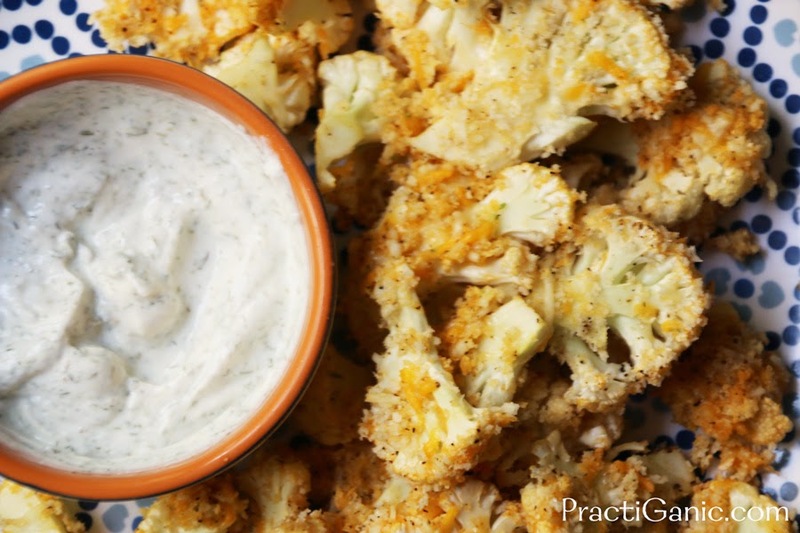 Serve still warm with the prepared ranch dip.